This game never gets old. How cool is this? You can impress your friends and family with this luxurious vintage edition. Love this! 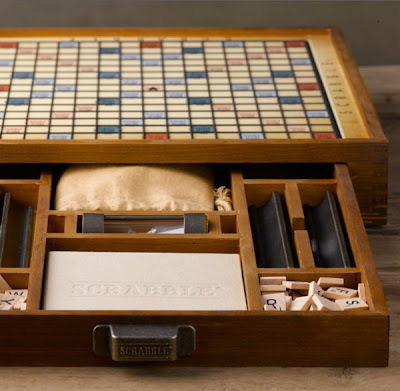 I'm pretty addicted to Scrabble and, though I use a pretty old board that was actually my grandmother's, it is nowhere near as elegant or beautiful as this one. New to your blog but I love what else you've got here. Happy New Year - I'm looking forward to seeing what you've got to share in 2011! This is awesome! 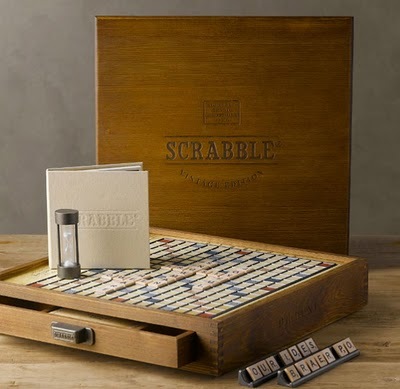 Would make such a great gift, thanks for the tip.